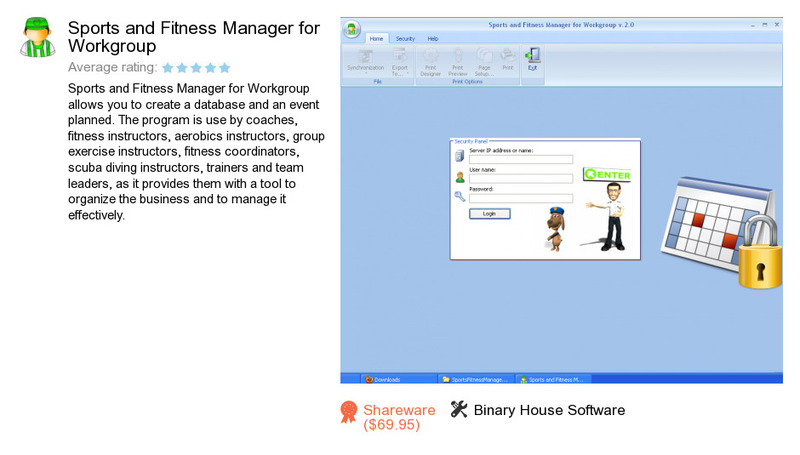 Sports and Fitness Manager for Workgroup is a software program developed by Binary House Software. We know of versions 2.8, 2.0. Version 2.8 is available for free download at our site. Sports and Fitness Manager for Workgroup installation file has a size of 37,875,215 bytes. Binary House Software also publishes OrgFinances for Workgroup and Church Scheduler.